If you run into a tree or cause an accident of some sort, the cost of repairing your own car is paid for by your collision coverage. But what if a tree falls on your car, or a deer rams into the side of your vehicle, or a thief smashes in your window to steal the radio? To cover these repair costs, you’ll need to add comprehensive coverage to your auto insurance policy. Essentially, comprehensive coverage pays for repairs to your car when it’s damaged outside of an accident. This includes damage as a result of theft, vandalism, acts of nature, animals, and falling objects. For example, if a raccoon gets into your car and destroys the upholstery, the cost to replace the upholstery would be covered by your comprehensive coverage after you pay the deductible. If you don’t have comprehensive coverage, however, you would have to pay to replace the upholstery yourself. Sometimes, under the umbrella of comprehensive coverage, you can choose various deductible amounts and coverage limits for different types of damage. For example, you may have a separate glass policy, which would repair or replace your windshield and windows. You can often choose a lower deductible for glass-only repairs and a higher deductible for other damage which is less common. This, in turn, allows you to save money on your monthly premium payments. You’re not required to have comprehensive coverage in most areas, so whether you want to spend the extra money depends on your finances and the value of your car. If your car is old or in poor condition, the premiums may end up costing you more than the car is worth. However, if your car is newer or expensive to repair or replace, having comprehensive coverage can save you big bucks in the event that your car is damaged. If you have a healthy emergency fund saved up for such occasions, comprehensive coverage may be unnecessary or you may opt for a policy with a very high deductible. However, if you can’t afford to replace your car or pay for major repairs out-of-pocket, an auto insurance policy with comprehensive coverage will not only give you peace of mind, but may keep you from financing expensive repairs on high interest rate credit cards or borrowing money from friends and family. Though legally you aren’t required to carry this coverage, your lender is likely to make carrying it a condition of your loan. 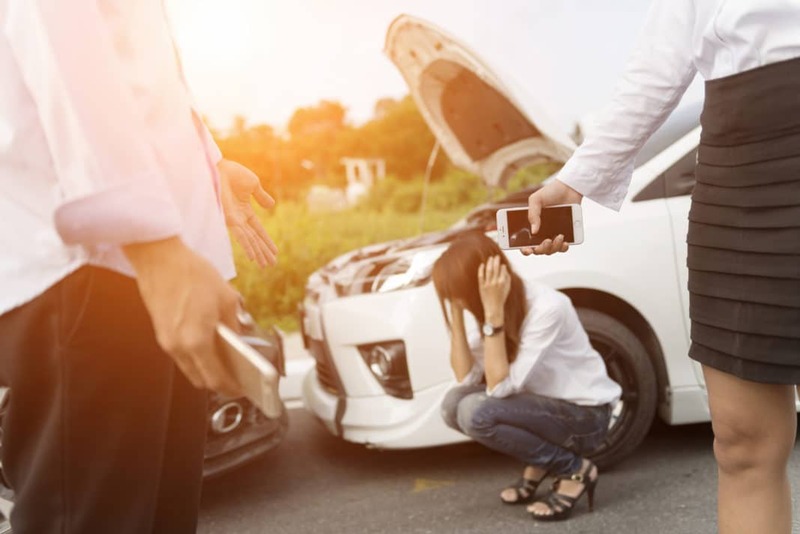 Most insurance companies will also require it if you wish to add collision coverage to your auto policy via a “total coverage” or “maximum coverage” policy that includes both. Also, if you rent a car, the car rental company may require you (or at least strongly pressure you) to purchase additional insurance if you don’t already carry both comprehensive and collision coverages on your auto policy or rental car insurance through your credit card. The cost of comprehensive coverage depends greatly on the value of your car as well as your history of auto insurance claims. If your car is new or expensive to repair, you’ll probably pay more for comprehensive coverage than someone with an older, less valuable car. Moreover, because this coverage will pay to replace or repair your car if it’s stolen, cars that are commonly stolen or are easy to steal will result in a higher premium. For example, a car alarm, Lojack, or other theft deterrent system is likely to reduce your premium. Although you might think “comprehensive” coverage includes everything, it’s actually only useful in specific circumstances. While it does pay for certain types of accidental damage, it won’t pay for repairs that result from normal wear and tear or regular maintenance. Also, comprehensive coverage will not pay for most damages that occur if you run into something while driving, though your collision coverage will. Collision coverage will basically pay for accidents where you are at fault. If you back your car into a boulder, for example, collision coverage pays the bill. However, if the boulder falls on your car, comprehensive coverage will take care of it. If you’d like additional coverage and can’t afford both comprehensive and collision, try increasing your deductibles, or consider going with collision coverage only or comprehensive coverage only if your insurance company will allow it. When making this determination, take into account your specific area as well as your driving habits. For example, do you think a tree limb is likely to fall on your car or a vandal likely to slash your tires? Or do you think you’re more likely to run into another car or object? When considering any insurance purchase, it often pays to get multiple quotes from different companies like Allstate and Travelers. Review each quote thoroughly to understand what is specifically covered as well as exclusions, coverage limits, and deductibles. Keep in mind that it’s not just about cost here, either. You want a company and a policy that will work for you when you need it most. Make sure you choose a reputable company that is highly rated. It also doesn’t hurt to ask your friends or family if they have experience with the companies you’re considering. Once you get the information, you can make an informed decision based on your needs. And even if you think you’ll never use your policy, consider the peace of mind you’ll purchase knowing it’s there for you just in case. Do you have comprehensive coverage as part of your car insurance plan? If so, have you ever had to use it?